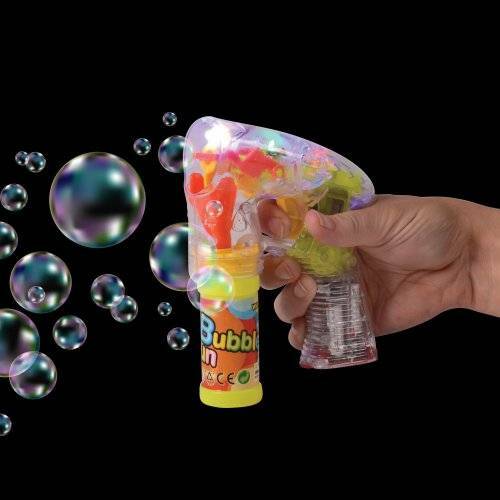 Size: 5 ½" W. x 6 ½" T.
Add some out of this world fun to playtime with this flashing bubble gun! 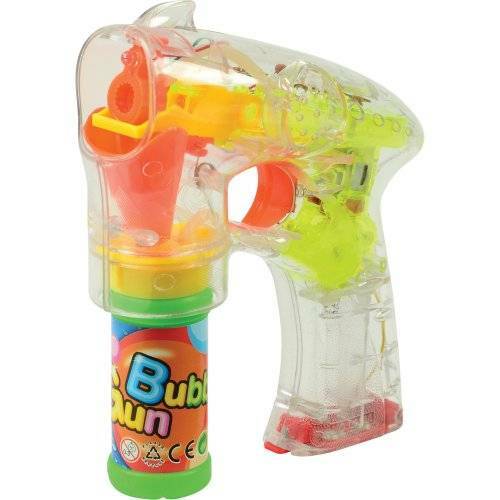 Includes bubble solution and batteries, this toy lights up and shoots continuous bubbles with the simple pull of the trigger. The perfect party favor for your next outdoor event!